Saeed Hafezi qualified as a solicitor in 1994. He became a partner in a leading North London firm before moving to Manchester to help establish Stephen Lickrish and Associates Ltd as the Co-Director. Saeed has practised criminal defence litigation since 1988. He has successfully represented clients charged with a wide range of serious offences including election fraud, VAT fraud, duty evasion, homicide and terrorist offences. He has gained a reputation amongst clients for providing a high level of commitment to securing the best possible outcome to their cases. Saeed has established effective working relationships with Counsel and Queens Counsel who specialise in defending people and their businesses against allegations of business related crime and regulatory breaches. This has led to Saeed developing an enviable track record of winning cases. Saeed has developed a practice which includes representing other professionals both in the criminal courts and before their professional representative bodies, appearing before professional bodies such as the General Medical Council and the General Teaching Council. 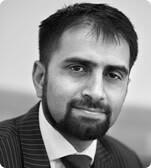 Saeed has also advised and represented clients before the Criminal Cases Review Commission and the Court of Appeal. He has represented clients facing grave and complex criminal cases investigated by the Serious Fraud Office, HM Revenue & Customs, the Counter Terrorist Unit and specialist UK investigators. He has worked in other jurisdictions to interview witnesses and collate evidence in countries such as Russia, South Africa, Turkey, Cyprus and the Netherlands. He has represented the only serving SAS officer ever to be prosecuted. Saeed has also acted for clients facing allegations of evasion of duty on imported goods and subsequent confiscation proceedings.